Whoops! 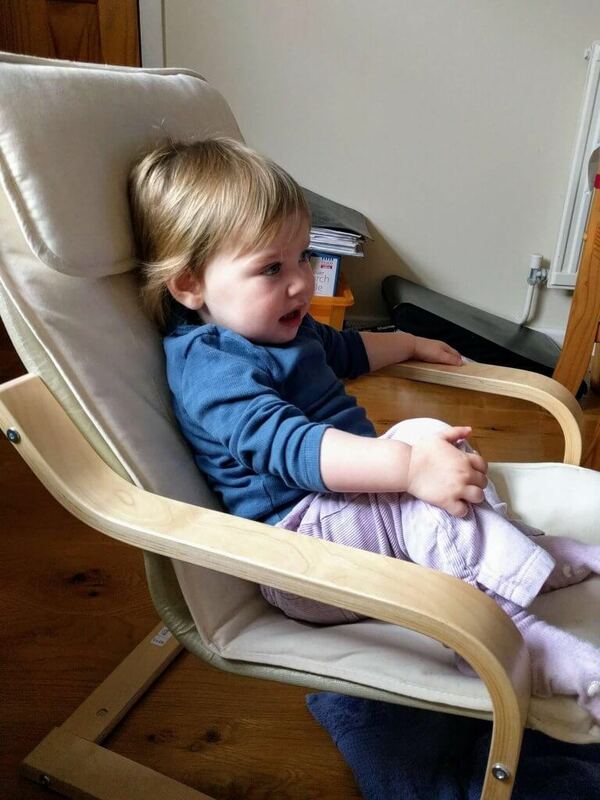 So I haven’t actually done an update on Isla since she was 12 months old. Today she turned 18 months. How is that even possible!? She has changed so so much in the last 6 months, as I’m sure my regular readers have seen. So here is an update on Isla Jean at 18 months. 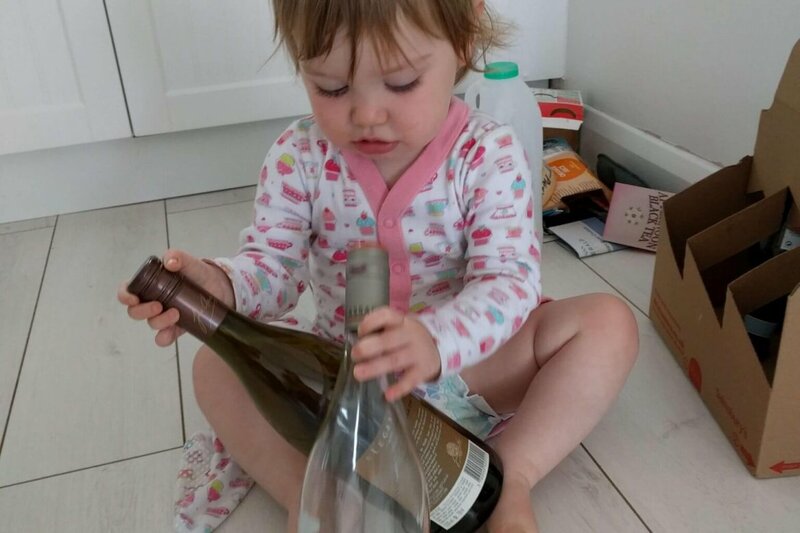 Wine bottles are suitable toys to play with, right? There is no stopping Isla at the moment. She walks, runs, and climbs everywhere. I seriously need eyes in the back on my head! I often take Isla to soft play at Odd’s Farm, and am constantly surprised at the things she can climb over that I often see bigger kids struggling with. There are still times when Isla can trip over thin air though, which has resulted in a number of cracking bruises. The best one was when she decided it was a good idea to walk around with her eyes closed. Cos this is clever, right? Anyway, she tripped over, and really wasn’t very happy about it. However, once she stopped crying she carried on walking around with her eyes closed. It’s obviously fun! Isla is very hit and miss with food at the moment. There are foods that she used to love, which she will no longer eat. One day she’ll devour something, the next day she will spit it straight out again, or simply refuse to even put it anywhere near her mouth. She still loves chilli con carne (which was her first ‘proper’ meal when she was just less than 6 months old), and will demolish a bowl of peanut sauce and pasta. She does have very peculiar tastes for a young child though. One thing she is pretty much guaranteed to eat, even when she wont touch anything else, is capers! I guess she gets that from me though, as I remember eating them on their own by the handful when I was little! 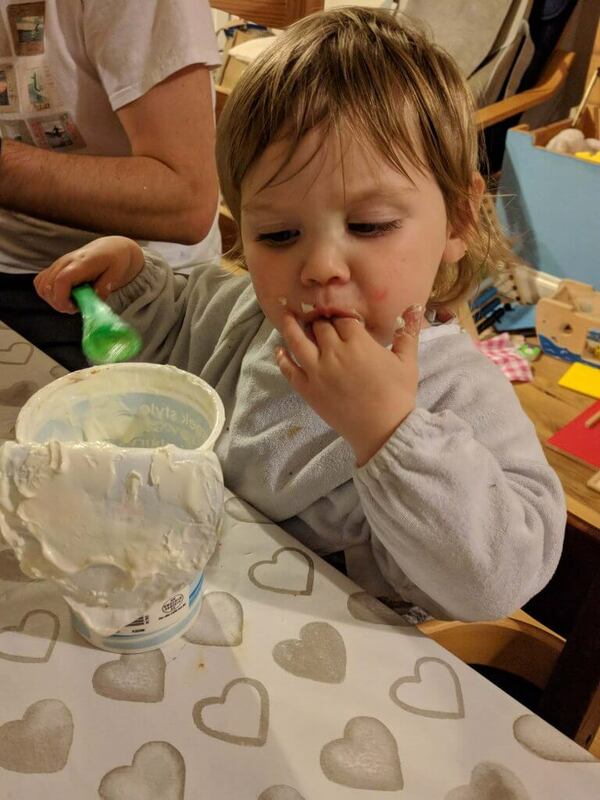 Isla still loves yogurt, and still refuses to eat most fruit and veg…unless it comes in a soup or puree form! I haven’t had Isla properly weighed in about 4 months. But I popped her on the scales with me this morning (accurate, right? ), admittedly she did have clothes on so that will add a little bit, but she weighed about 22lbs, which is about 10kgs. This seems about right when I checked it against the growth chart. It would suggest that she is still following the same line she has been for a long time – just between the 25th and 50th centile. I’m quite happy with that. She has always been on the little side, but she is hardly wasting away. We are still breastfeeding! 18 months! Wow! It is definitely getting less and less often. Isla will still have a feed when she wakes up in the morning. And then throughout the day it just very much depends on her. Sometimes she will decide she wants to feed lots, other times not at all. I think a lot of the time during the day it is definitely for comfort. If we are with lots of people and she’s feeling very shy, or if she’s tired, then she will definitely feed more. Night times are also hit and miss. If she wakes up in the night, we usually bring her through to us to settle her back to sleep. Sometimes she will feed, other times she’s not fussed at all, and just wants a snuggle. I wouldn’t be surprised if she decides to stop feeding all together soon. That’ll be a sad day for me I think. I lose count of how many teeth Isla has these days. The front 8 have been there for the last 6 months or so. 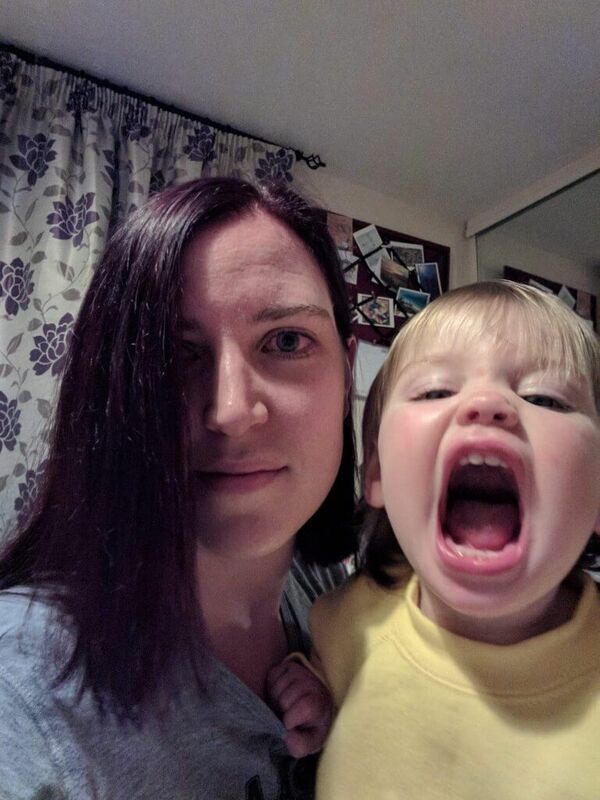 In the last month, or maybe a little longer, there has been a sudden influx of teeth! She has at least 3-4 new ones through, and I can definitely feel/see at least 2-3 more trying to pop through. The 3-4 new ones all came together in the space of about a week or two. That was fun! Haha, with Isla this is always hit and miss. Sometimes she sleeps through, other times she wakes several times a night. Sometimes she goes to sleep easily, sometimes it takes hours! I’m not going to go into too much detail about what it’s like at the moment, as I’ve found from experience that if I mention anything positive, then it all goes to pot! My gorgeous Isla bear is a right cheeky monkey! She’s at that age now where she likes to push the boundaries. If she’s doing something she knows is naughty, she will make sure we’re aware of it. For example, she will often stand on books, which we tell her she is not allowed to do as it will break them, and she will shout at us until we take note of what she is doing and tell her not too! She will even shake her finger as if to say ‘naughty’! On the whole Isla is a very happy child. She will play with, almost, anyone, once she has warmed up to them. 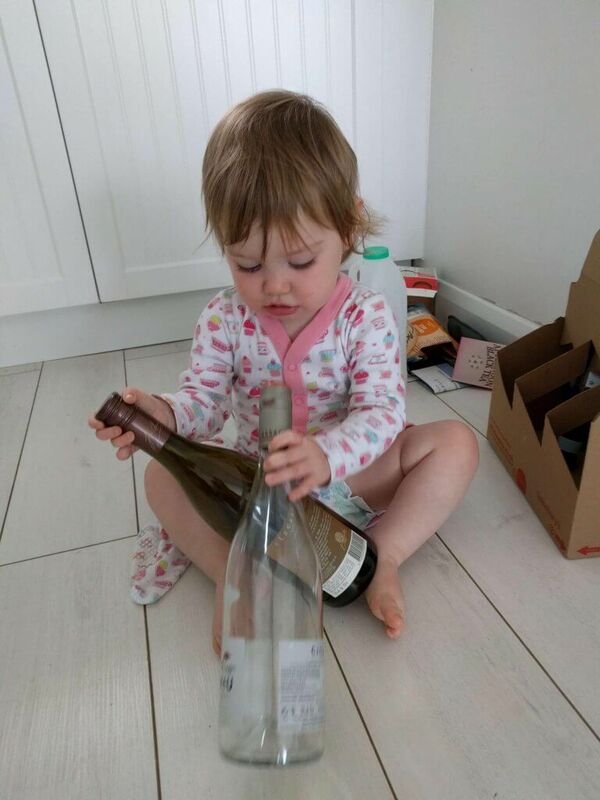 There are times though when I think that Isla has hit the Terrible Twos early. We can have the biggest melt down about the smallest of things. Today’s one was that I stopped swinging her in her old car seat. (She seems to love sitting in her old car seat from the travel system at the moment. It’s just behind the living room door as we haven’t got round to putting it in the attic yet. And she will regularly pull it out and climb inside.) Today I decided to swing her in it (while she was strapped in of course), but oh my word, she is far too heavy to do that for too long! And it was like it was the end of the world! Thankfully it wasn’t long til she was going to nursery! Isla definitely knows what she does and doesn’t want though. She has this thing where if she wants us to get her something, she will grab our hand and pull us across to whatever it is she wants and put our hand on it to make us pick it up. Her latest thing is the grab my hand and move it up to my shoulder/chest….this is her way of saying she wants a feed and I need to undo my bra. The first time she tried to do this I didn’t understand what she was doing, but after a few protests from her and repeated actions I clicked on, and found it hilarious! So this was a little snippet of Isla Jean at 18 months old. She is changing by the day, and it is so wonderful to watch.